DAN CAPPELLAZZO/STAFF PHOTOGRAPHERNiagara Falls - Niagara Falls police offices and K-9 Corps. patrol the entrance to the Rainbow Bridge. 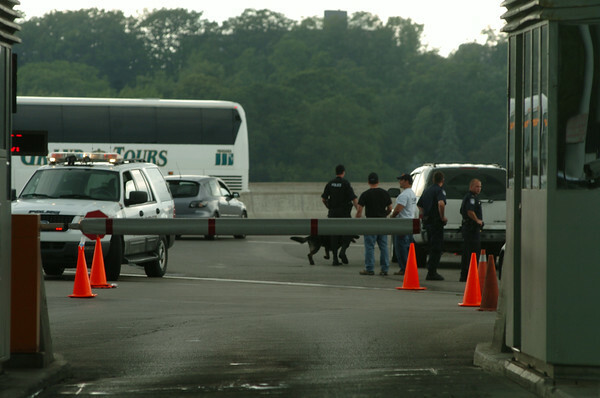 The Niagara Falls Police Department is working in conjunction with the Customs officials to increase security for this weeks G8/G20 Summit in Toronto, Ontario.